Home » Tennis News » Wimbledon 2015: Can Federer keep up the momentum and beat Djokovic for his 18th Grand Slam title? Can Djokovic prevent the Federer express from winning his 18th Grand Slam title and eight at Wimbledon? Will Federer keep up his momentum to defeat world number 1, Djokovic, and win his eight Wimbledon title? Roger Federer and Novak Djokovic contested the 2014 Wimbledon final in a match that went the distance. 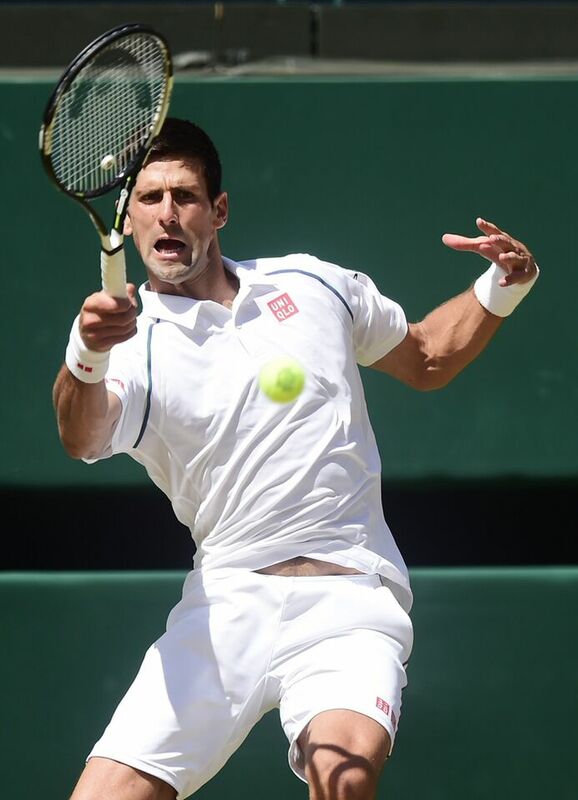 It lasted 3 hours and 56 minutes, with Djokovic coming out on top in the fifth set, 6-4. The two rivals meet once again today, in the Wimbledon final, in a match expected to be tightly contested. Federer turns 34 next month, while Djokovic is only 27. 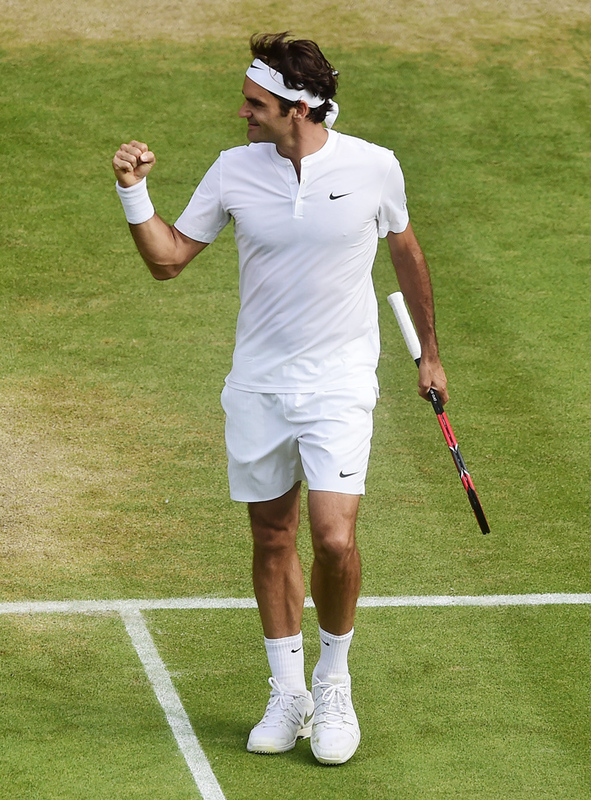 Federer is also on the brink of a record breaking eight Wimbledon crown and his 18th Grand Slam title. In his last 21 Grand Slams, he has only won one. His hunger shows and he's ready to give it all. If Federer wins, he will be the oldest player to win the tournament - Arthur Ashe is currently the oldest when he won it at 31 years back in 1975. Federer's dream is to win one more Wimbledon title before he retires. This is his 10th Wimbledon final. He's the oldest man to reach a Wimbledon since 39-year-old Ken Rosewall in 1974. This is Federer's 26th Grand Slam final overall. The two rivals have met 39 times with Federer leading 20-19. Today's 40th encounter is going to be no different. The rivalry is one of the most evenly-matched and competitive in history. Federer is the only man to have beaten Djokovic in all four Grand Slams and the reverse - Djokovic beating Federer in each of the four Grand Slams - is also true. In Wimbledon history, the two have met twice. The first meeting was in the 2012 semi-finals which Federer won in four. Then they met two years later in the final that Djokovic ended up winning. In all Grand Slams, the two are tied at 6 wins apiece. The Wimbledon final features the World number 1 and number 2 ranked players - Federer and Djokovic. Djokovic has had a very fruitful 2015 but momentum and form is currently with Swiss maestro Federer. Djokovic may have dominated most of his semi-final matches against Richard Gasquet but it was the manner in which Federer defeated Britain's number 1 player Andy Murray that was being talked about. Federer's serve dominated headlines. He hit a total of 20 aces (11 in the first set) and won 84 per cent of his first-serve points. After the opening game, he didn't face a break point for the rest of the match. In the tournament so far, Federer has only been broken once. In 2015, Djokovic has won two of his three meetings with Federer. 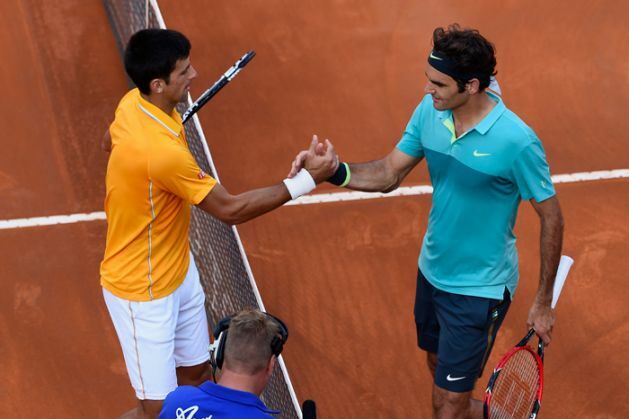 In the most recent victory in Rome, Djokovic toyed with Federer, defeating him in straight-sets. Djokovic is the underdog, and with the crowd overwhelmingly supporting Federer, the question to be asked is: Can Djokovic overcome the fans and momentum to beat Federer? If the anything is to interfere in the Wimbledon final, it will be rain. The forecast at the moment is for rains all afternoon. If that is right, the roof will be on - similar to when Federer beat Djokovic in four sets back in the semi-finals in 2012 - the last time he won a Grand Slam. On the flip side, Djokovic has won 32 straight matches on an indoor court. TWEET THIS Can Djokovic prevent the Federer express from winning his 18th Grand Slam title and eight at Wimbledon? Will Federer keep up his momentum to defeat world number 1, Djokovic, and win his eight Wimbledon title?